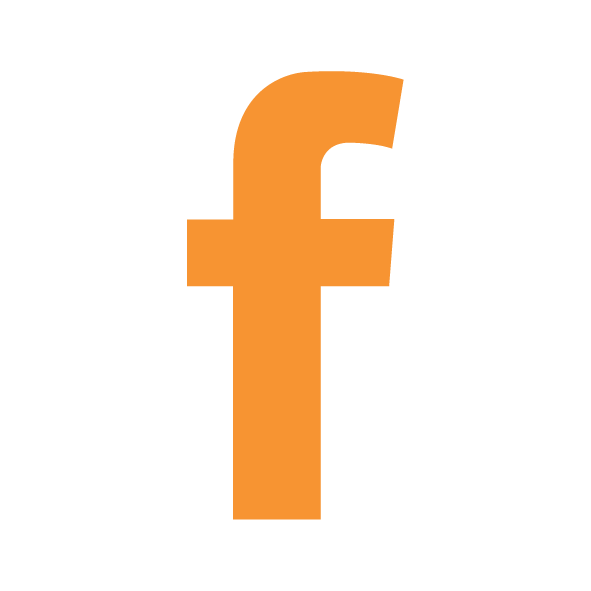 You might want to bookmark this WEBSITE PAGE as one of your school favourites, FUNDA will be updating our FREE giveaways, downloads and experience days each term. Because we know from experience that schools love quality FREEbies. 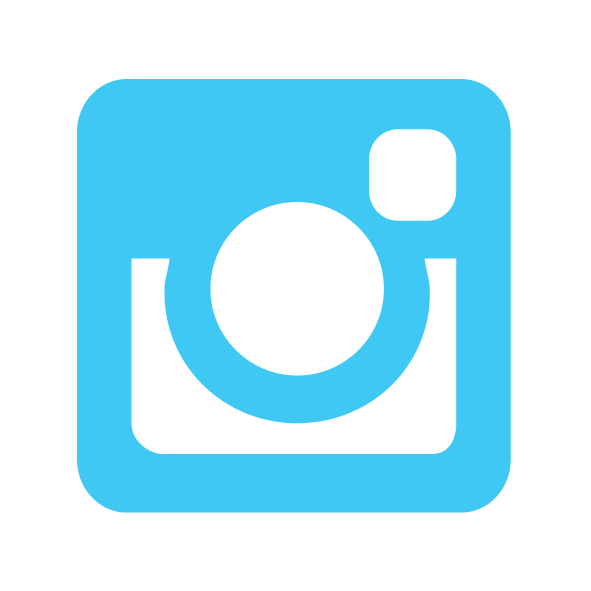 The FREE giveaways on this page are all worth over £160 each. We will teach Fencing activities to your junior pupils and involve your class teachers at the same time. 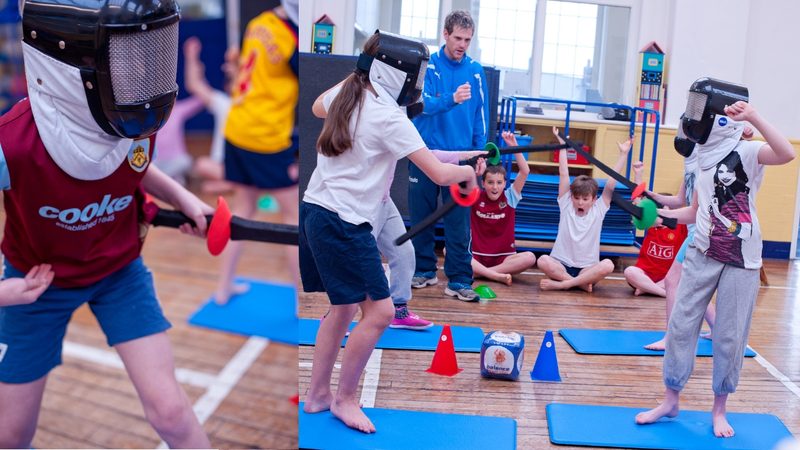 Your pupils will master all the basic skills of Fencing, giving them the chance to explore and take part in this unique activity. 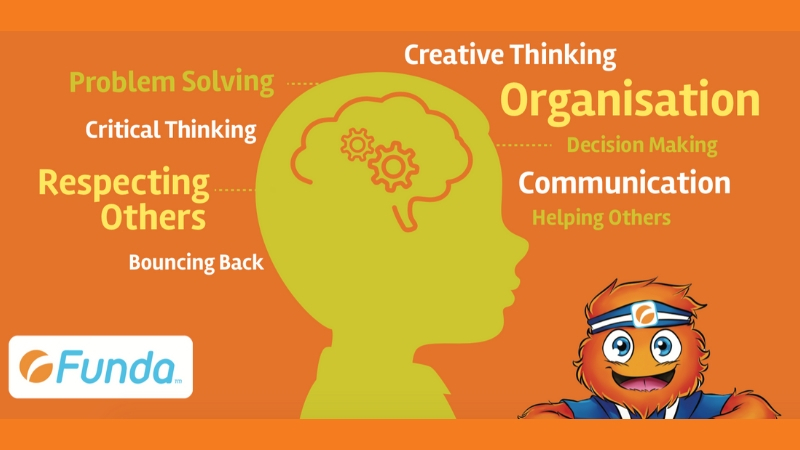 Evidence shows that children who struggle to develop their mindset, characteristics of learning and critical skills make insufficient progress at home, whilst attending school and in life. 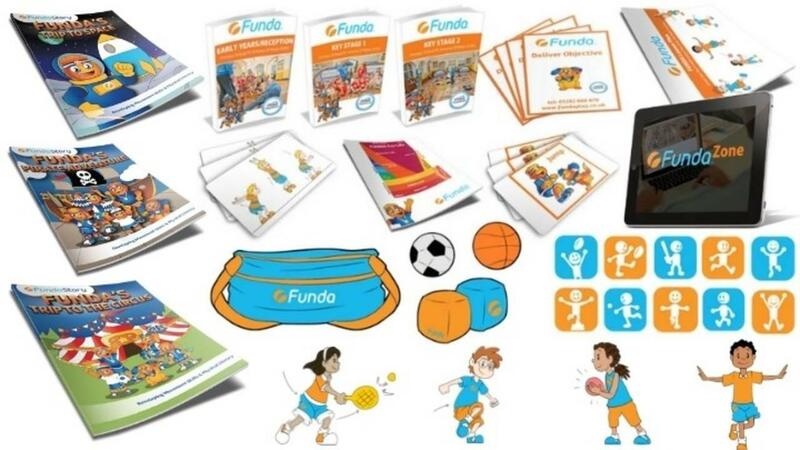 The new FUNDA PE Scheme of Work (SOW) will be shared with your teachers, in fact, your teachers can even access our FUNDA ZONE online resources long after your FREE showcase. 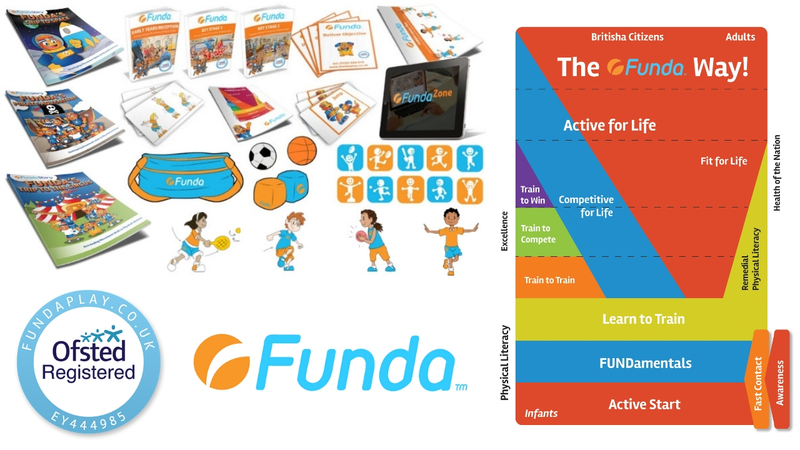 Your teachers will teach the 'FUNDA WAY' alongside our FUNDA Educators build an instant relationship and teach Physical Education (PE) and NOT just Sport. 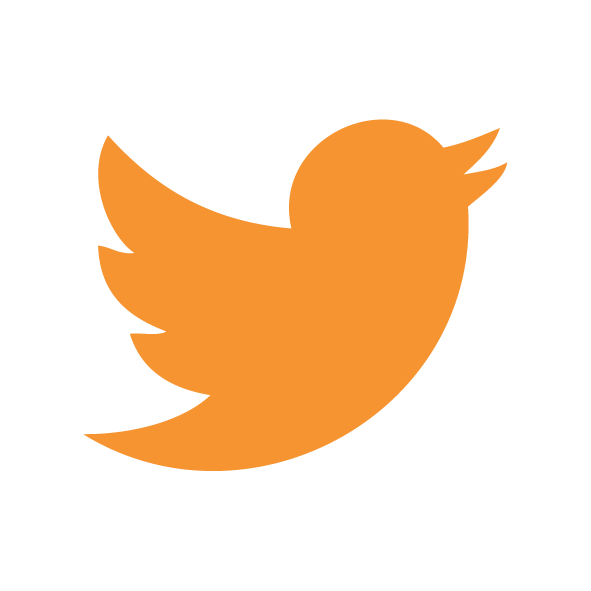 Our way will ENGAGE, INSPIRE, EDUCATE and MOTIVATE every pupil in your school. 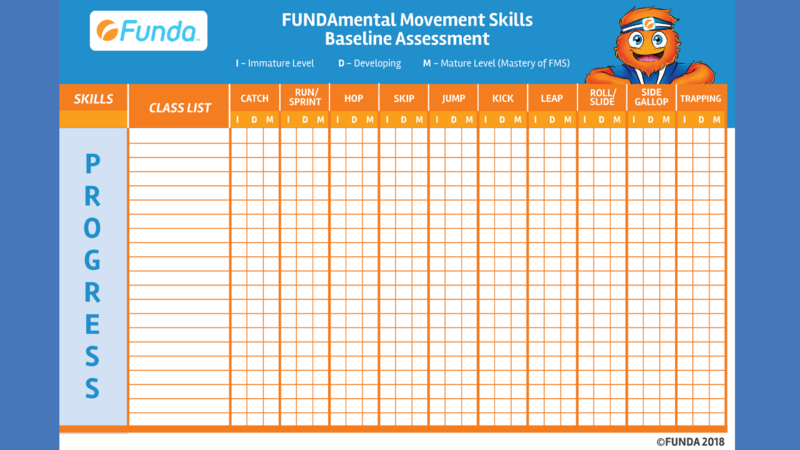 So many teachers share with FUNDA that they struggle to measure the FUNDAmental Movement Skills (FMS) progress of their pupils. In fact, so many teachers struggle to model the basic Gross-Motor Movement Skills like Running, Jumping, Skipping, Throwing, Catching, Crawling, Kicking etc. We all understand that assessment in PE has long gone, however, it's crucial to measure and track pupil progress from every lesson, scheme of work or physical activity that you teach and deliver. Otherwise, would you agree that you are just delivering physical activities for the sake of it? Would you agree that so many teachers today are becoming de-skilled when it comes to teaching Physical Education (PE)? So many teachers we team-teach alongside state that they have little confidence when teaching sports like; Gymnastics, Hockey, Rounders, Athletics and many other sports. When by law, according to the Primary School National Curriculum your school no longer needs to teach SPORTS in PE. It's true, read the Primary School National Curriculum, take note to the [sports in brackets]. Why are so many schools still teaching and solely focusing on SPORTS specific Scheme Of Work/ lesson plans? 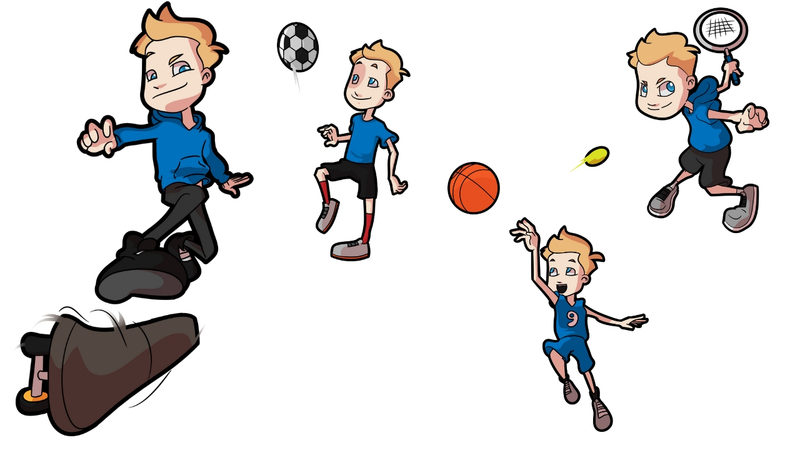 Sports geared around the children in your class that are gifted and talented in that given sport and these children more often than not dominate your PE lesson and don't give others a chance to take part and have a voice. Would you agree that teaching from a boring, dry, sports specific scheme of work/ lesson plan is just like teaching using one of those old-fashioned chalkboards instead of the ultimate interactive whiteboard? "A high-quality Physical Education Curriculum that inspires all pupils to succeed and excel in competitive sport and other physically demanding activities". Yes, we all know there's a time to teach Competitive Sports, however not every pupil is ENGAGED, INSPIRED or turned on by sport. 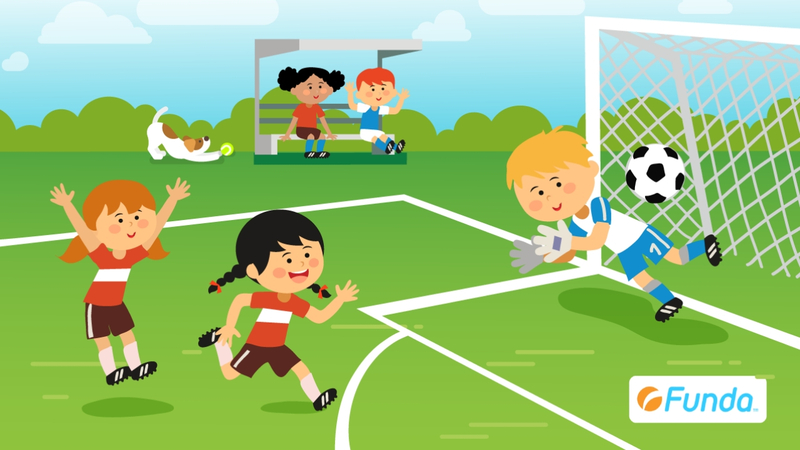 In fact, some children don't even like sport and this will result in them sitting on the sidelines, becoming spectators. Teachers all team-teach alongside our specially trained FUNDA Educators who are all geared up to teach the 'FUNDA WAY'. Better still the impact and everything we do is tracked and measured in line with the governments Sports and Pupil Premium accountability measures. They then teach sports and competitive sports before school starts, midday, at lunchtimes or after/ out of school time. 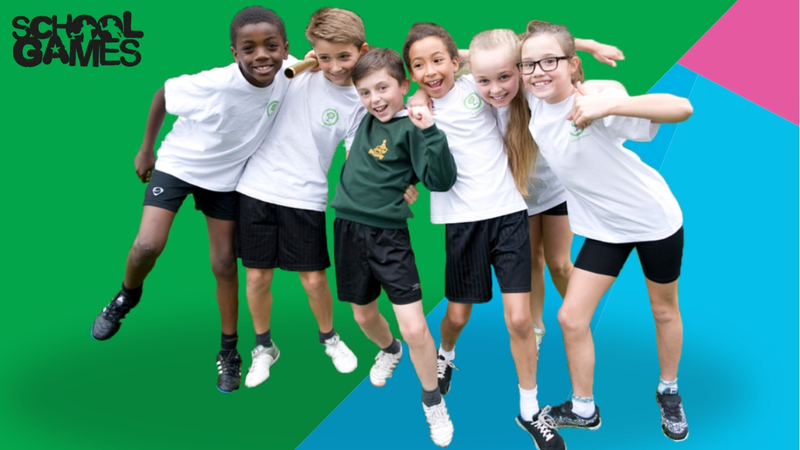 Teaching children who opt in to playing and competing in sports, we can even coach your children in time to compete at their next Primary School Games Competition. This way we ensure that we DO NOT disengage the least in-active and sporty children to take part in sports, physical activities and hobbies later on in life. After 13 years of teaching in local primary schools, we have found that conflict happens at Lunchtimes/ Midday and this negative experience then has an impact and knock on effect to your pupils learning in class time during the afternoon. 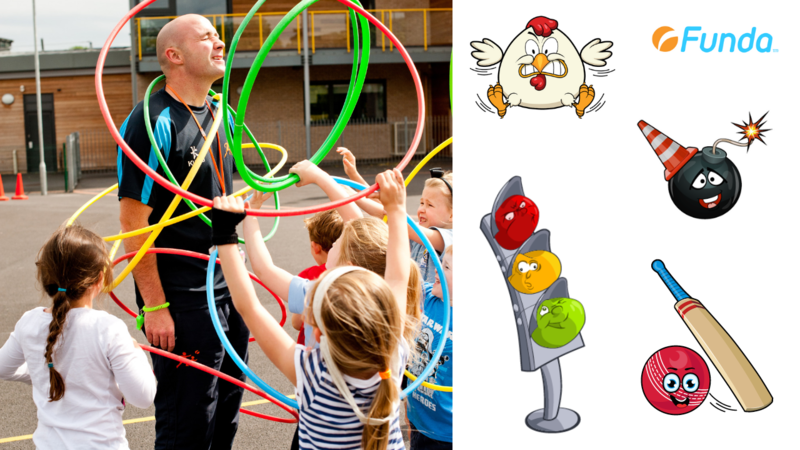 Our FUNDA Educators will support your midday staff to deliver both structured and un-structured Physical Activities during your lunchtime play. 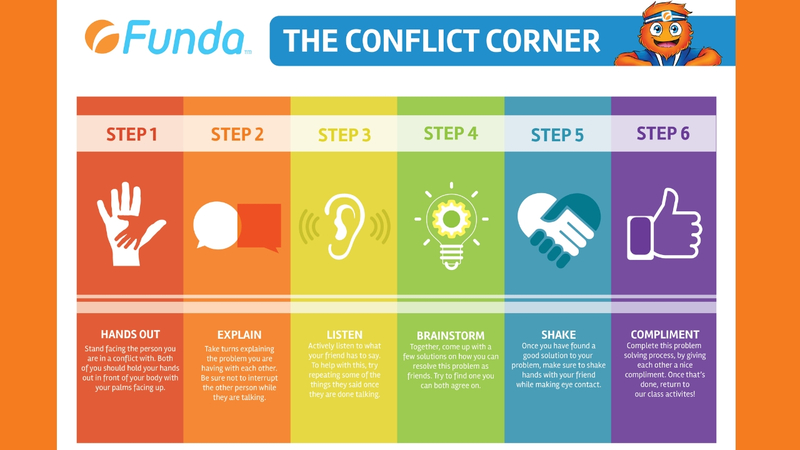 We will also share our mindfulness, growth mindset and characteristics of learning resources especially our new FUNDA Conflict Corner Resource. 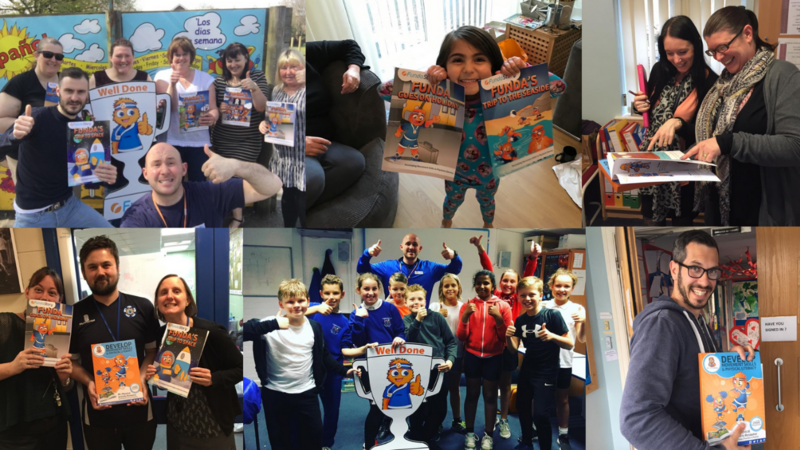 If you are a teacher and you love all the value FUNDA has just shared with you in this blog post, just imagine the positive difference and value we can share with your children, teachers and school? 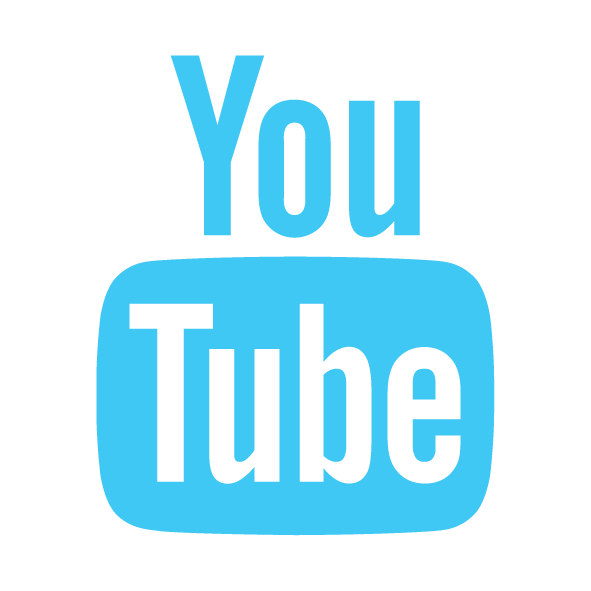 Learn more about the 'FUNDA WAY and our core values. 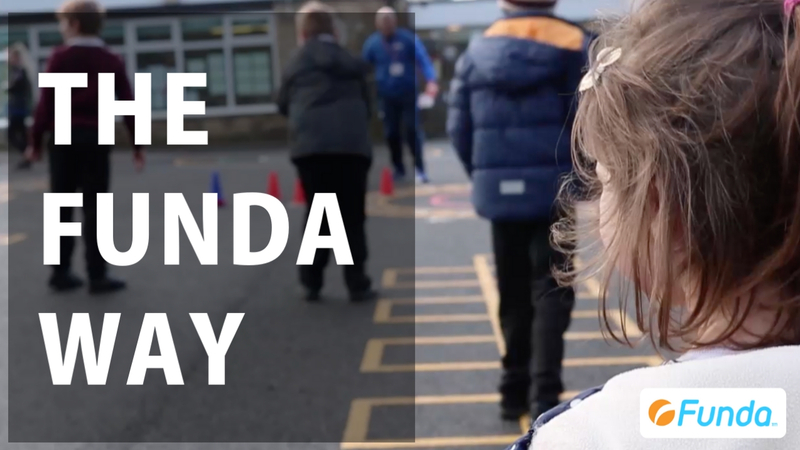 FUNDA today is multi-award winning, OFSTED registered and officially recognised by Her Majesty the Queen. We've been established for 13 years and now partnering 50+ primary schools. Making a positive difference to your pupils, teachers, parents everyday. 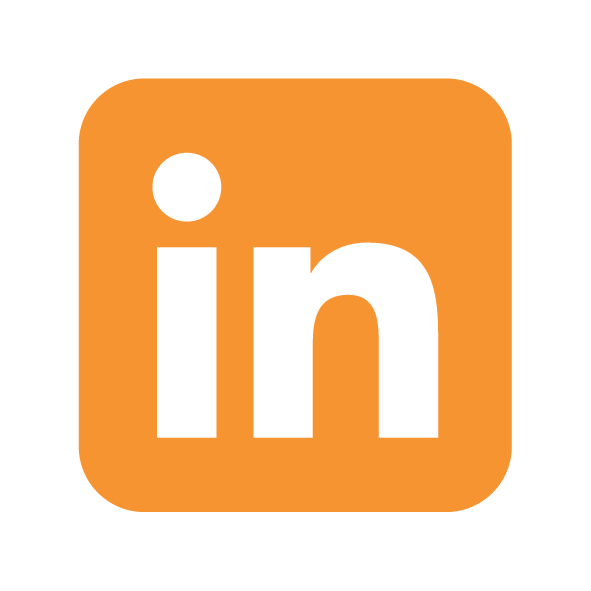 Allow FUNDA to prove our credentials. Ps: DO NOT deprive your school any longer by just teaching boring SPORTS and COMPETITIONS all year round. Mix it up and enrich your children and teachers by teaching the 'FUNDA WAY' at the same time, we promise you won't look back.